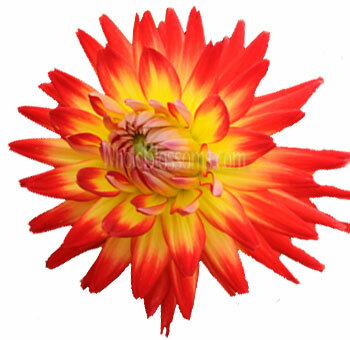 Dahlias are strikingly bright and beautiful flowers. You can use them in bouquets, centerpieces, and for brightening up any room. They come in a variety of colors, however, if you are seeking a certain color, please call to ensure availability. The status of color availability is sometimes limited. We recommend scheduling the delivery 2-3 days prior to your wedding or event. 50 STEMS FOR THE PRICE OF 40! Flowers are an eloquent way of expressing our feelings to people we care about. 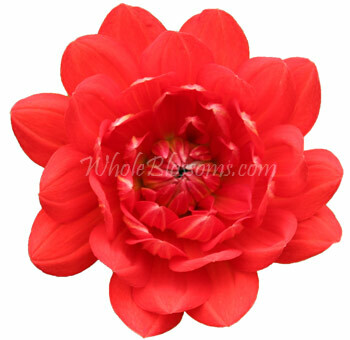 One of the most prized flowers to express our affection and love is the Dahlia flower. Since Victorian times, they have stood for love and commitment. They are one of the most popularly used flowers in weddings. These elegant, lush blooms change the look of even a simple table into a welcoming and attractive setting. They can be used anywhere. Set them into a bouquet for a loved one and it would look beautiful. Put a bunch of dahlias into a woven basket, and you would get a picturesque forest-like feel. Set a handful of huge dahlias into a green or white vase and you will get an impressive and colorful centerpiece. 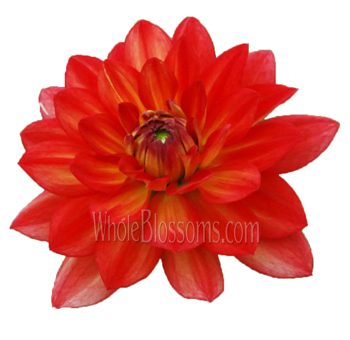 The Dahlia is so vast in variety, and that makes it an absolute wonder to work with! The structure of the dahlia is fascinating.Flowers of the dahlia are single and have an as sturdy green stem. The flower can be anywhere between 5cm to 30cm in width.The flower is actually composite. They are made up of florets that are flowers in their own right. These plants are dicotyledonous and are annually blooming. Their stems are hollow. 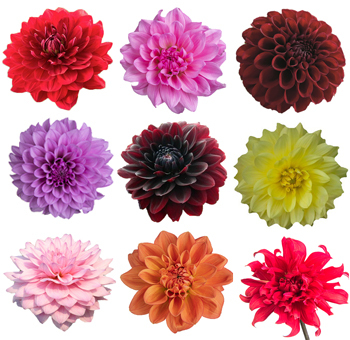 Their vast variety of colors and shapes is because the dahlias have extra chromosomes as compared to other flowers. The vast combination of features makes the Dahlia unique. 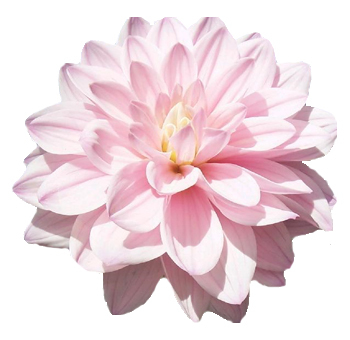 The dahlia flower is unique to weddings because it symbolizes and deep bond or connection between two people. The dahlia conveys love and affection. This makes it an unusual choice for bridal bouquets. It stands for elegance and grandeur. It represents a commitment of a person to a new job or goal. It symbolizes inner peace, stability, maturity, and strength. The dahlia is also the national flower of Mexico. It used to hold special significance in the Aztec civilizations. 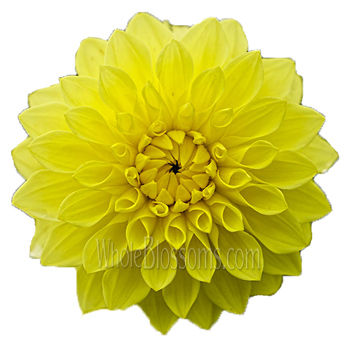 The Dahlia flower is a unique flower. 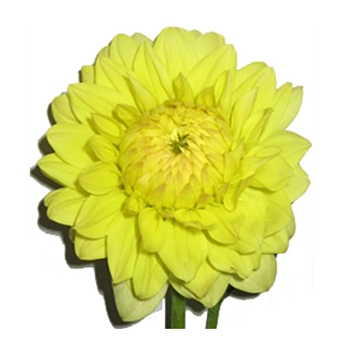 Gifting a Dahlia flower bouquet to a loved one will tell them how they themselves are unique. 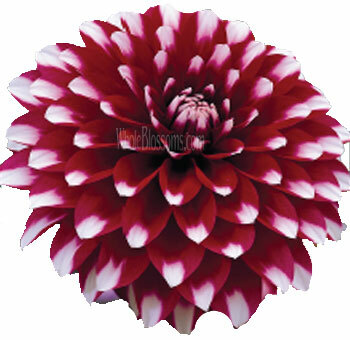 It is also a flower that is used to convey gratitude.Dahlias are eye-catching. There is something uniquely mesmerizing about them due to their symmetric shape and florets. 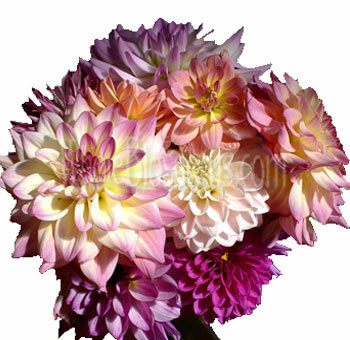 When used in a cluster of stems, dahlias complement one another, because of their shades and color gradients. When taken care of correctly the dahlia flowers can last for longer than a week. 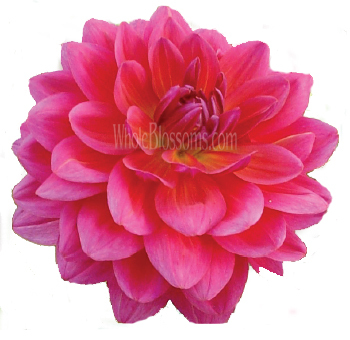 Dahlia flowers love water so make sure to replace the water in their vases regularly. 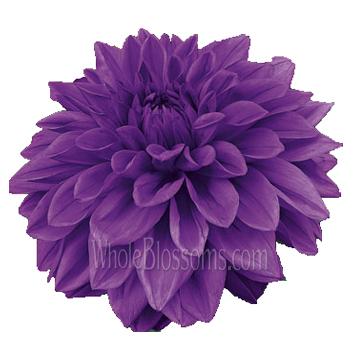 Dahlia flowers are an excellent choice for flower arrangements because of their voluminous shapes and a large variety in color.These flowers are perfect as the focus of the bouquet and can be paired with all sorts of flowers. 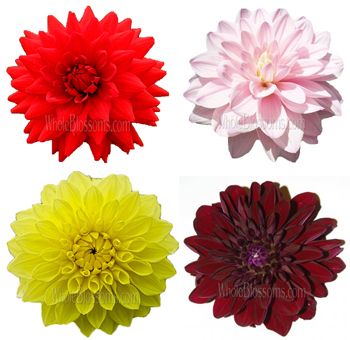 With dahlia flowers alone, you can display a whole palette of colors. Dahlia flower arrangements are the perfect centerpieces for your celebrations and even for your homes. Choosing containers that emphasize their colors will work the best. White dahlia flowers for a wedding are a lovely choice. Their lush look adds grace and elegance to the event. Dahlias can also be used as boutonnieres. 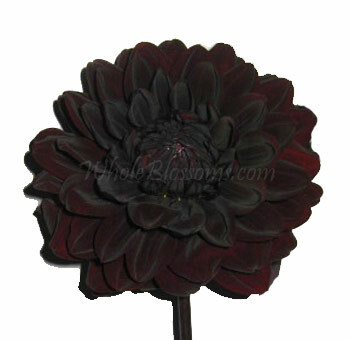 Darkly-colored dahlias will complement wooden upholstery very well. The light-colored dahlias will complement modern and contemporary surroundings. 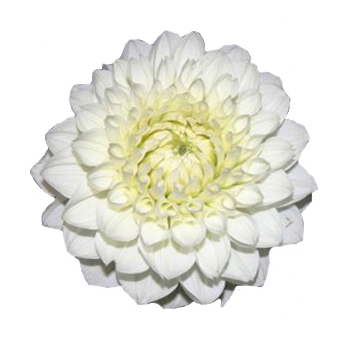 The white dahlia flowers are the perfect flowers for weddings and elegant dinner parties. Pair them with white roses or deep purple flowers to create a beautiful bridal bouquet. Actually, the white and burgundy dahlia flower together are the best wedding bouquets! They are a breathtaking combination. 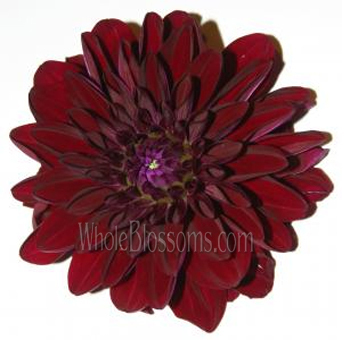 Some dahlias are a shade of purple so dark they are called black dahlia flowers. These work beautifully with other red, yellow and pink flowers. 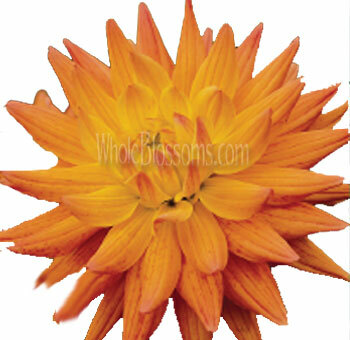 The dahlia flowers come in a vast range of warm colors. 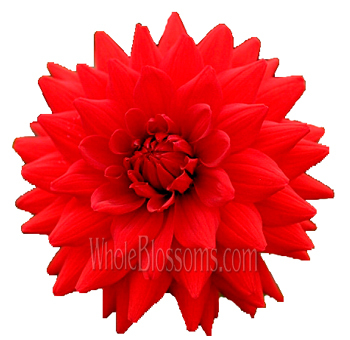 Red dahlia flowers are perfect when set against the greenery and leafy backgrounds. Pairing them with a range of warm-colored flowers, like yellow, orange, salmon, and pink will make a spectacular sight. Blue dahlia flowers are the only color not to exist. 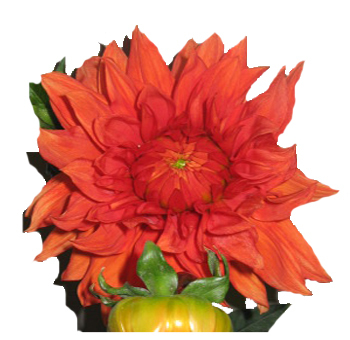 The dahlia flower florist has a big responsibility with that of cultivating dahlias. These flowers need to be cut right after bloom because the buds do not bloom after being cut. The flowers also require lots of water. They are at their best when they are delivered freshly cut. 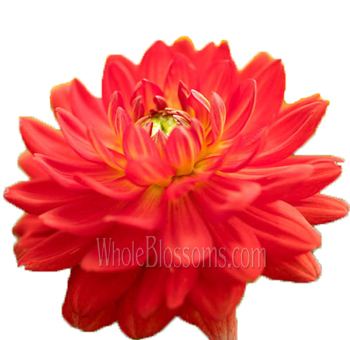 To buy dahlias wholesale and in bulk, you must buy from florists with experience. One such florist is Whole Blossoms. They deliver freshly cut blooms in bulk 24/7 right to your doorstep. You can order them online. 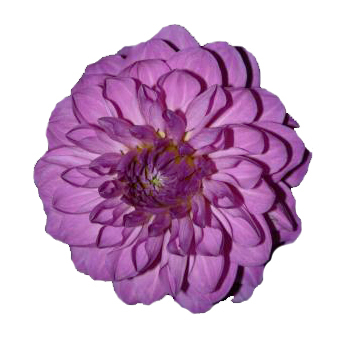 They cater specially to weddings so if you're looking to buy dahlias, they are your best bet. 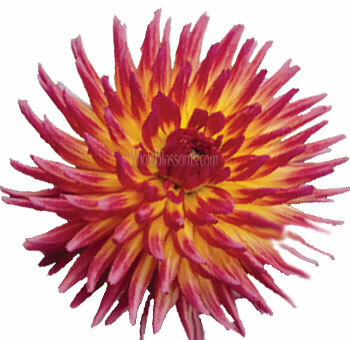 Certain dahlias are also available in specific seasons. 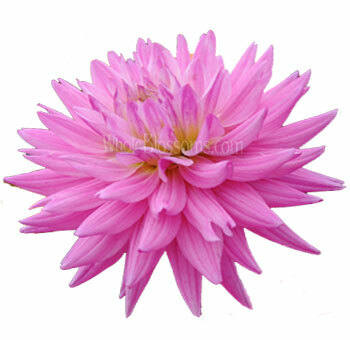 To know more about the dahlia flower season, you must contact the florists well ahead of time. But these flowers are a total must-have for weddings and your homes. The Dahlia's colorful and lovely presence in your living room—or in the hands of a loved one—will undoubtedly warm your heart.